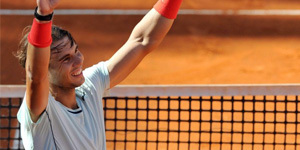 Rafael Nadal took home his eighth French Open title on Sunday, and 12th grand slam title overall, defeating fellow Spaniard David Ferrer, 6-3, 6-2, 6-3. 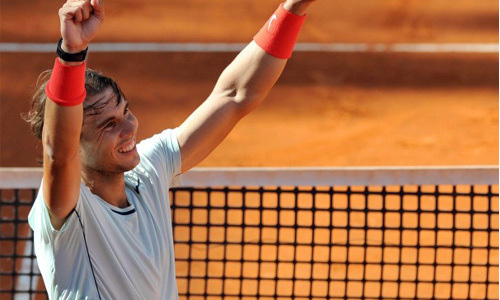 Nadal became the first man to win eight titles at the same Grand Slam tournament (2005-2008, 2010-2013). This title comes on the heels of Nadal’s comeback from injury. He sat out for seven months because of a knee injury, but showed the world in this tournament that his knee, and game, are back in top form. Despite a few interruptions with protestors on Sunday, Nadal seemed in control from the get-go against Ferrer. With his 12 titles, Nadal is now tied for third all-time, trailing only Pete Sampras (14) and Roger Federer (17).